Baseball, while a beloved sport, is notoriously dull. Dogs, on the other hand, are inherently adorable. When these two elements fuse, there’s the potential for something great to happen – enter Finn the bat dog. 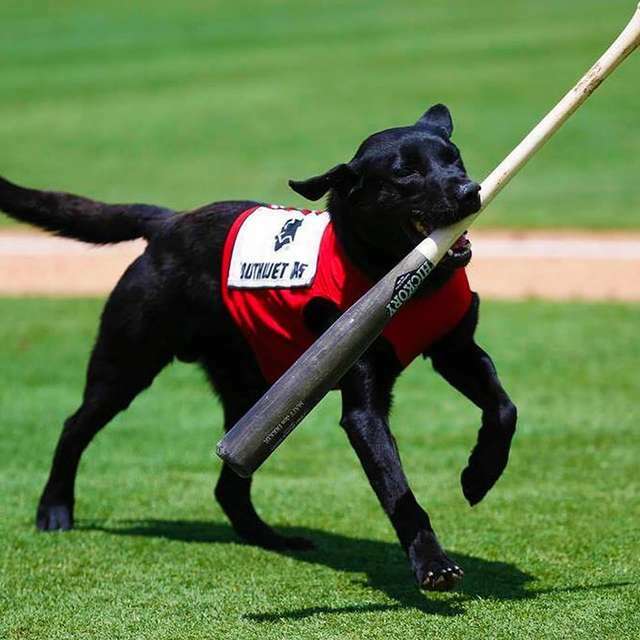 Finn, a chipper pup who’s always happy to help, retrieves the bats after the players toss them aside. He performs his duty with such efficiency and glee that many regard him as the star of most games. Unfortunately, not everyone is such a great proponent of Finn. More specifically, umpires. During a game between the Sacramento River Cats and Las Vegas Aviators, Finn was doing what he does best and returning the bats to the dugout. During mid-retrieval, the umpire blatantly intercepted Finn, chucking the bat in the opposite direction. The umpire’s action was patently rude and won him little support. 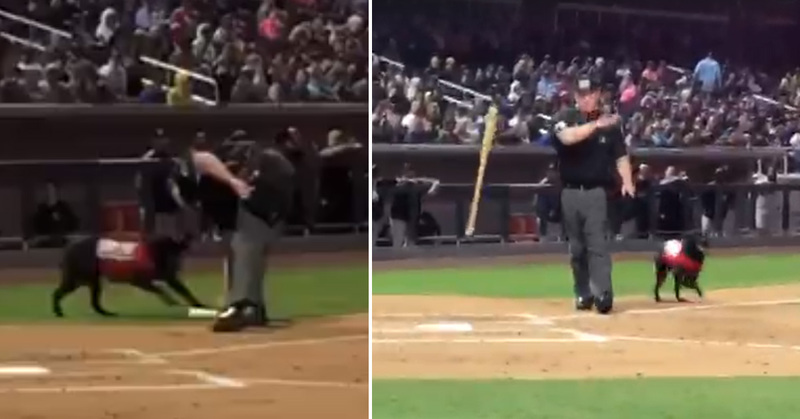 The crowd exploded into upset, booing the ump as an attempt to express their frustration. The umpire remained unfazed by their glaring disapproval. Fortunately, Finn was none the wiser. He merely thought the umpire was playing fetch with him. Let’s hope the ump isn’t granted the “three strikes and you’re out” rule when it comes to ruffling the feathers of innocent pups.